CALL (610) 446-0295 TO INQUIRE ABOUT OUR SERVICES. 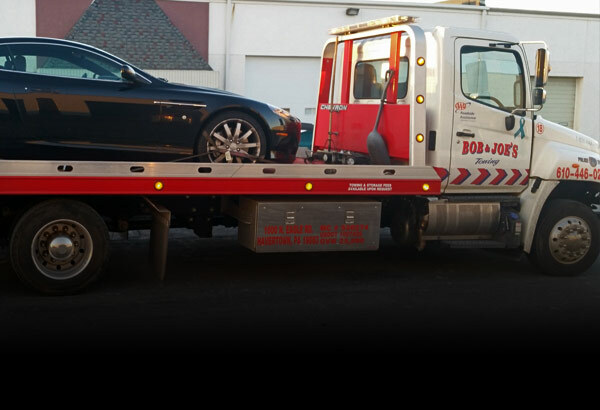 Our fleet of state-of-the-art tow trucks in Havertown, PA, are ready to roll 24 hours a day. 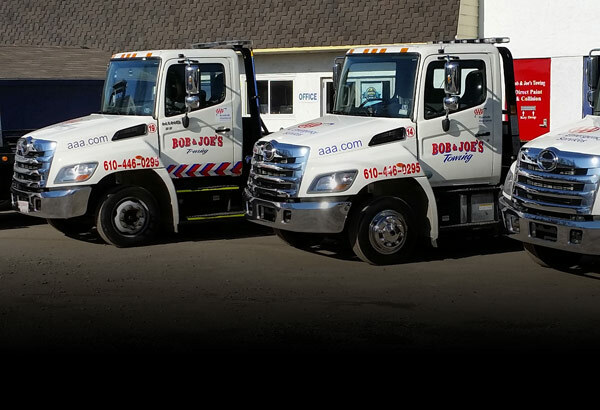 We specialize in collision tows, but we have the right trucks to take care of any light or medium-duty towing. We also tow and haul commerical equipment and transport cars all over the country. Our highly trained and experienced drivers will arrive and transport your vehicle with care and efficiency. Whether it be car, or truck, anywhere in the tri-state area, we are at your service. Unexpected things can happen, and that’s why we’ll be there to help you 24 hours a day, 7 days a week. Business parking lots, commercial fleet service discounts, and towing for auto repair shops. Visit our partner, Direct Paint & Collision, for all of your auto body repair needs.